Though brick-and-mortar retail stores will never go away completely, they’ve lost quite a bit of business since ecommerce became popular. Companies have learned to adapt by putting their products online and including extra perks like exclusive in-store coupons. Unfortunately, not all retailers have made it out of this internet Armageddon alive, and brick-and-mortar retail has taken a downturn over the last few years. Many businesses have closed as a result. On the flipside of the coin, the boom of ecommerce has brought with it a huge wave of online stores and shops. Entrepreneurs with a good idea and virtually no business experience have developed new products and online shops, many of which have grown into highly profitable companies. The advent of the internet completely shifted the scope of retailers, but commerce is still as alive as ever through the web. As ecommerce grows in popularity, many are questioning the potential death of brick-and-mortar stores. Will this shift towards ecommerce mean the end of traditional retail? It probably won’t, but we can certainly expect another shift in the constantly evolving world of retail for those who want a future in commerce. 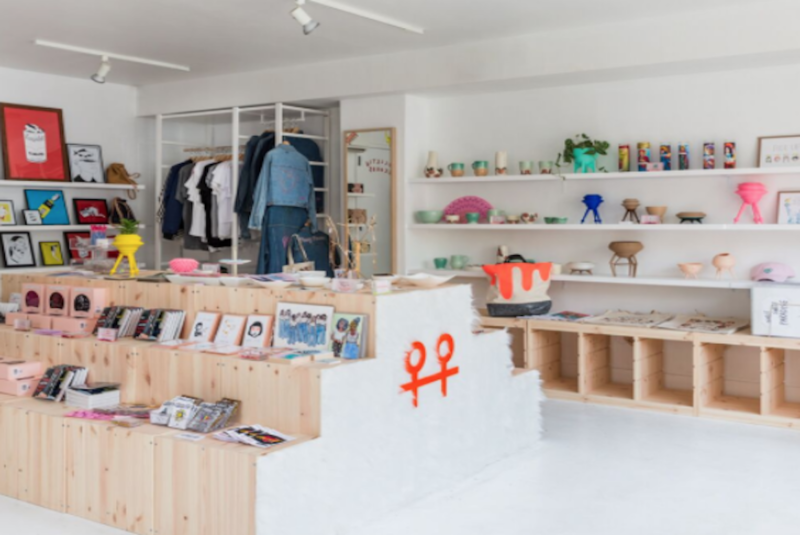 One startup called Bulletin is trying to define the future of commerce in the form of permanent pop-up shops born from an online store. Branston’s solution is a small chain of stores located in New York City that sell only online products. Small online businesses can pay a small fee to put featured products on the shelves of this store where consumers can touch, feel, smell, and see the products in person before buying. This idea comes from the tangible disconnect between purchasing a product online versus in a traditional store. Consumers love the convenience of making all their purchases online, but they hate having the product arrive different than expected. Most companies have a return policy, but the hassle of re-packing the products and then waiting for the next arrival is more than many customers are willing to deal with. To try to combat some of this problem, ecommerce stores like Amazon have created their own brick-and-mortar stores to hold their top-selling products. It doesn’t replace the online store, but complements it perfectly, offering consumers the opportunity to know exactly what they’re getting from their favorite online stores before they purchase something. It’s all the benefits of a traditional store with the exclusive products people love. Bulletin is following a similar pattern, but they’re trying to make it even more convenient for consumers. The organization of the stores is ingenious. One thing customers love about online shopping is the ability to search by category for a product rather than perusing every item. Bulletin is organized around a similar structure. Each store has a theme. One might be tech gadgets and another might be novelty clothing items. The stores are also filled only with up-and-coming products and other products that consumers won’t be able to find anywhere else. The simple novelty is what brings people in. One example of their store is called Bulletin Market, which sells crafts, homemade products, and innovative designs in a market format. Products are carefully selected to stick with the theme. To apply to sell in these stores, ecommerce retailers can simply visit Bulletin.co and fill out an application. You can request they sell certain products in a specific store if you like, but ultimately, Bulletin has the final say on which products are sold where. Additionally, not everyone can use this service. Shelf-space is limited, and though they’re working on creating more spaces, there are not enough themed stores to encompass all online organizations. Products must be innovative, original, and one-of-a-kind to hit stores as well. Typical clients offer very niche-specific products that literally cannot be found in any other setting. Bulletin began by selling exclusive online products through their online shop. They were trying to create a marketplace similar to Amazon, but this one would revolve around showcasing the most unique products. However, this marketplace didn’t fly the way they expected, and they sought a different route. Bulletin is growing rapidly, and they’re hopeful to be in other locations soon. It would be unsurprising to see more pop-ups emerging just like it in the near future based on the success of this chain.